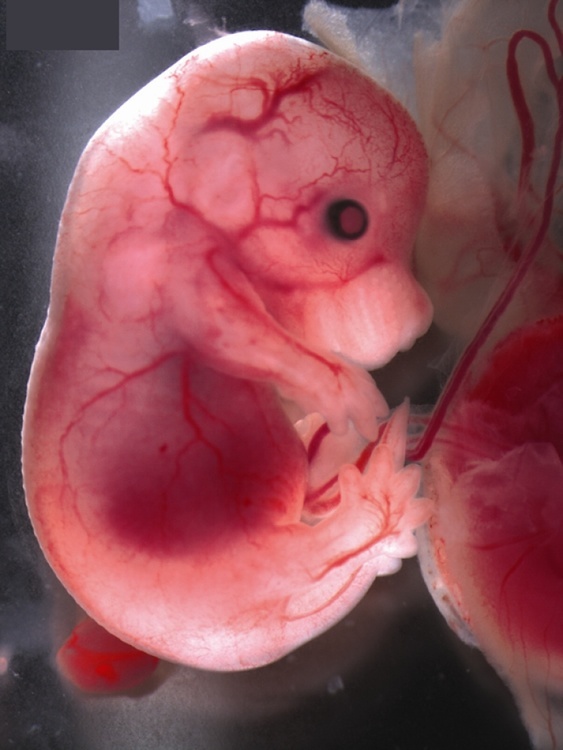 Researchers successfully treat congenital disease in unborn mice via drug delivery to amniotic fluid. Congenital disease, estimated to cause the death of 276,000 infants within the first month of life each year across the globe, also causes childhood illness and long-term disability. Prenatal screening techniques now make early diagnosis possible, presenting the opportunity to intervene in disease processes before birth. Now, a study from researchers led by Rosalind Franklin University shows that antisense oligonucleotides (ASOs), short strands of engineered nucleic acid that are designed to bind to a specific gene-derived sequence, can be safely injected into the amniotic cavity, the fluid-filled sac that holds the embryo. The team state that their findings offer promise for therapeutic management of congenital diseases in utero using designer nucleotide sequences, that can simply be injected into the fluid surrounding the developing fetus to potentially treat disabling-to-lethal genetic defects. The opensource study is published in the journal Nucleic Acids Research. Previous studies show that although there are some fetal interventions available for congenital structural defects using surgical interventions, there are few options for genetic disorders, which may have pathology beginning in utero. Antisense oligonucleotides (ASOs), which are short, modified nucleic acids designed to target and bind to a specific RNA sequences, are emerging as promising therapeutic molecules for congenital disorders. The favorable pharmacologic, pharmacokinetic and toxicological properties of ASOs make them a promising drug platform for disease therapeutics, though their safety and efficacy in utero is not known. The current study investigates whether deliver of ASOs to the mouse amniotic cavity can efficiently target gene expression. The current study shows that intra-amniotic delivery of ASOs to mice embryos is well tolerated and produces a sustained effect on postnatal gene expression. Results show that an ASO targeting MALAT1 RNA, delivered by transuterine microinjection into the mouse amniotic cavity at embryonic day 13-13.5, reduces target RNA expression for up to 4 weeks after birth. Data findings show that an ASO targeting a causal splice site mutation for Usher syndrome corrects gene expression in the inner ear, a therapeutically relevant target tissue. The lab state that the combination of a potentially low-risk delivery approach with the promising antisense drug platform, which, in theory, can alter any disease-associated aberrant gene expression by simply designing the sequence of the injectable molecule to match the target gene, is an exciting breakthrough; they stress that more work needs to be done to improve the efficiency of drug uptake and distribution to specific tissues. They go on to add that, to their knowledge, this study is the first demonstration of ASO embryonic transfer with amniotic fluid administration, or non-surgical insertion of ASOs into a developing fetus, a key step toward broad application of this powerful gene therapy approach in humans. The team surmise that their findings suggest transuterine delivery of ASOs is an innovative platform for developing fetal therapeutics to efficaciously treat congenital disease. For the future, the researchers state that fetal ASO pharmacotherapy has the potential to safely enable therapeutic strategies for the treatment of fetal and congenital genetic disease.